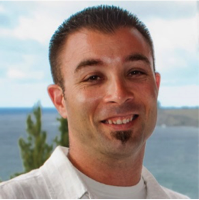 Shawn Burson has 15+ years of experience planning and building interactive learning content and interactive templates. After almost a decade of Instructional Design in a university setting, he came to the knowbly team in 2013 to work with clients such as National Geographic Learning, Culinary Institute of America, Pearson, and Microsoft. Shawn's passion to create measurable interactive content that engages the learner serves as the foundation for his award-winning approach to Instructional Design. ​Not all content is created equal and yet all content can be inclusive. Learn how to leverage software to apply the basic principles of UDL to your content quickly and easily. Create a flexible, customized content experience for your learners that can be adjusted to individual needs or larger groups as needed. Give your students an equal opportunity to learn with engaging content. We'll show you how to take a common core lesson written for a specific group and turn it into an accessible plan for your students.